From iconic illustrations to prominent prints, there is no doubt that Andy Warhol is an inspiration to the modern generation. With his sassy, skilled silver hair, Warhol became a culture icon, familiarly known as the god of Pop Art. Warhol was born in a working class suburb of Pittsburgh. As a young man he was interested in photography and drawing and attending free classes at the Carnegie Institute. He was frequently bed-ridden as a child due to complication of scarlet fever. Consequently he used this time to draw and listen to the radio. He also collected pictures of movie stars. Years later Warhol attributed this period to the development of his personality and the formation of his talents and preferences. During the booming fifties, Andy Warhol created graceful and vibrant illustrations for heels and beauty products for ‘Harpers Bazaar’. Adopting the name ‘Andy Paper bag’, due to his socially awkward manner, Warhol took this joke in his own way and would present his creations to Diana Vreeland, the Fashion Editor for Harpers Bazaar, in a paper bag. Developing from illustration, his silkscreen print ‘Campbell Soup’ saw the artist rise to fame in 1969. Inspired by this success, Warhol decided to produce a magazine that would attract the weird and wacky youth culture into his orbit. Thus, ‘Interview Magazine’ was created, rebelling against the boundaries of fashion, art and film. Anyone with fame appeared in the magazine, giving details of their luxurious lifestyles and contemporary careers. ‘Interview’ was a magnet for musicians, artists and celebrities alike. It is a little known fact that the pop art icon was also a deeply religious man. Looking back on the seventies, we can clearly see the loving affection designers had for the iconic style of Warhol. The effect of Warhol’s creations and contrasting media caused fashion to adopt his contemporary work in order to match his influence on fresh and unique designs. The ‘Silver and Suede’ exhibit was the beginning of Andy Warhol’s collaboration with other fashion designers. This illustrated the creativity between the garments of Halston (an American fashion designer) and Warhol’s photography and art. The duo constructed a dynamic experimentation between art and fashion. Warhol’s sketches helped contextualize Halston’s garments and illustrated their shared aesthetics. From vivid visuals to contrasting creations, ‘Silver and Suede’ became a resounding success, inspiring and encouraging the world of fashion to collaborate and take inspiration from these ambitious artists. Warhol’s experimentation took place in his workshop, ‘The Factory’. Smokey eyes, giant accessories and monochrome motifs, characterized Andy Warhol’s Factory Girl Look, “The Warholian”. Displaying his appreciation for clothing, Warhol said “ Fashion was not what you wore some place anymore; it was the whole reason for going”, often considering himself and his assistants as an exhibit themselves. Warhol pioneered the idea that fashion is a form of art. 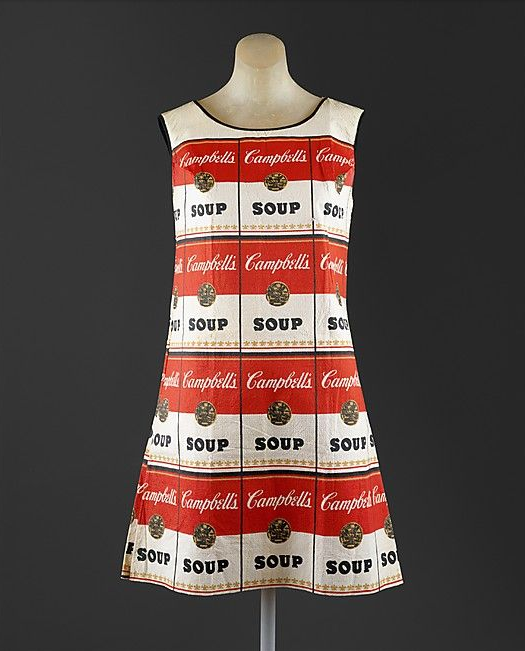 Influenced by Warhol’s ‘Pop Art’, the paper A-line souper dress was created during the sixties. Taking inspiration from this iconic construction, many designers have printed Warhol’s unique designs onto clothing. Similar to the clever collaborations and transposing textures, Warhol produced silkscreen images of the designers themselves. A youthful Yves St Laurent was styled similarly to Warhol’s other designs – an even square divided into four equal quadrants. Not only is this painting a memorial gesture to the designer but also stands as an intimate connection between fashion culture and art. This painting reflects the trusting and enduring relationship Andy Warhol has with the fashion industry. By connecting the two worlds he has created a complimentary tie that is beneficial both to the fashion industry and art culture. Exploring the relationship between artistic expression and celebrity culture, Andy Warhol created controversial prints that were both relatable and iconic to the public. Marylin Diptych; a series of prints of Marylin Monroe, is one example of Warhol’s admirable pieces. Excitement bursts off the print, created by bold, dynamic colours. The blocky shapes and vibrant textures emphasize strength, created through the powerful contrasting colours. But this playful piece was more sinister than what met the eye. Questioning the idea of perception, Andy Warhol dehumanized Marylin as it is not physically her, but a print of her. Warhol is showing us how established his simple, yet complex ideas are in our mind and everything we do. He opened doors for what art could be. Warhol was once quoted saying “There is beauty in everything, just nobody else sees it”, challenging the art world to realize his perception. Therefore, how could the modern era not look back and recognize the influence that Warhol has had on this generation. 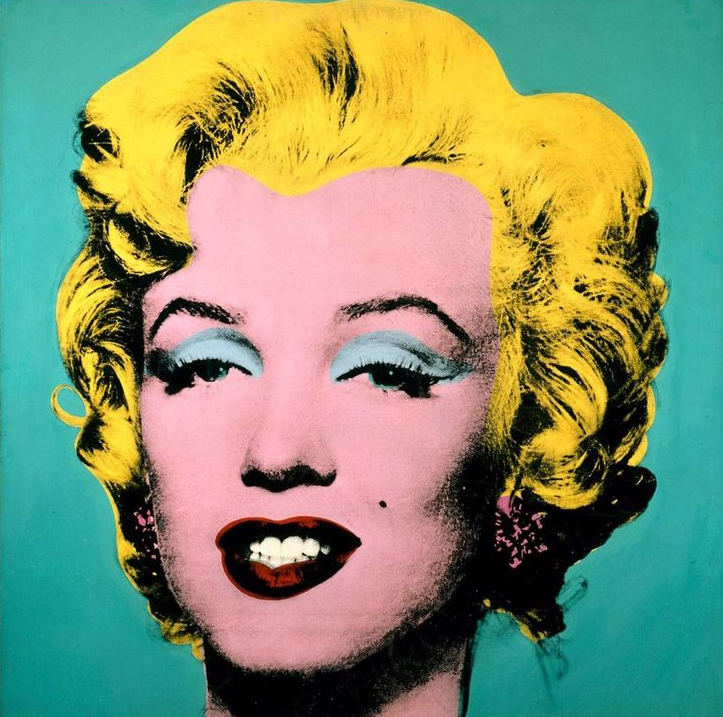 Warhol’s work was so instantly recognizable that it was easily relatable to the public. The use of headlines, celebrity culture and ecological problems were reflected in his prints. The everyday culture present in his art contrasted to the abstract expressionist movement that was dominant during the 1940’s. Warhol’s wonderwork was a clear time capsule of the year’s 1962-1987. His original work developed from the idea of his creations being historically correct, which created much intrigue. 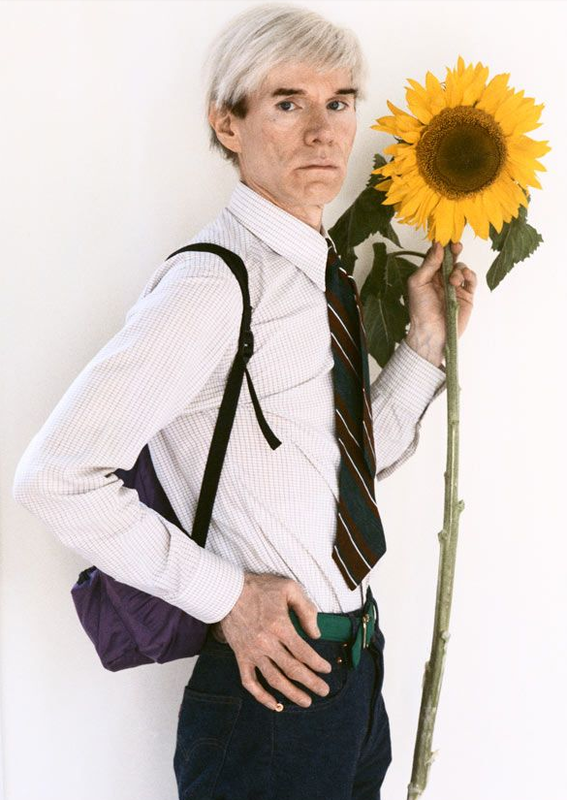 Developing the power to change the whole art scene through his vibrant visuals and playful pieces, Andy Warhol has become more of a presence than a person. Inspiring others to be different, think differently and to see differently. He founded a family of followers that loved and cherished what he did. Collaborating with Pepe Jeans in May 2008, the ‘canned’ collection captures the artists unique, daring spirit, developing inspiration from the patterns, shapes and brands of the 60’s. Utilizing Warhol’s Pop and Factory themes, Pepe Jeans created denim dresses. Warhol’s forward fashion thinking, inspired prominent prints and groovy graphics for this collection. For Warhol’s iconic style, flowery prints and vibrant colours have been used. Fashion’s unconditional love for Warhol is still evident today. In Prada’s Spring 2014 collection, the artist’s poppy flowers have re-emerged on garments, and are evermore evolving onto accessories. Warhol may have died in 1987, but designers are regularly featured in ‘Interview’, attracting the globes most distinguished characters, from Liza Minnelli to Mick Jaggar. Andy Warhol is a phenomenon. He seemed on the surface invincible, without care, but like us he was ambitious, yet insecure. Earning his place as an icon for both art and fashion, he continues to inspire a new generation even today. Once a social outcast, Warhol rose to become one of the most influential artists of the 20th Century. Our greatest and only wish is to be transported back to the 1960s, in hope that we could collaborate with the genius himself. If only.